This spectacular 5 bedroom, double storey, free standing house is the perfect getaway for large families or groups of people going on holiday together. 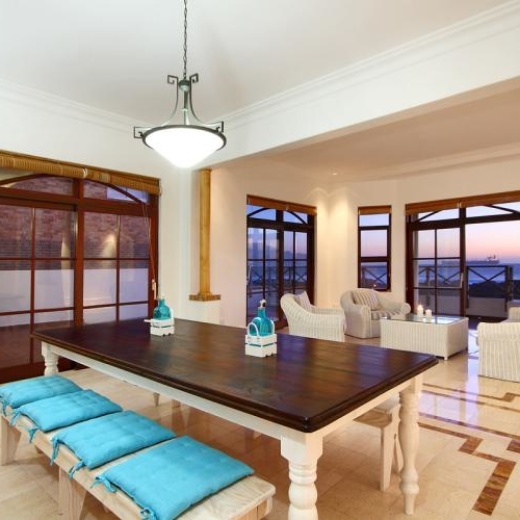 Its beauty can be compared to the amazing view of Table Mountain that you get right from your front balcony. 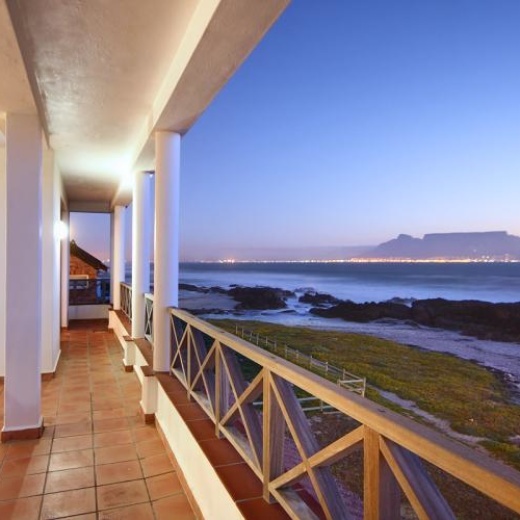 4 on Belloy is one of our fine 3 star Bloubergstrand Self Catering Apartments. The minimalistic approach to the interior creates an ultra luxurious feel with the use of straight lines and contemporary furniture. Entertaining is a breeze with large spacious rooms, dining table that seats 8 people and a furnished balcony for extra space. 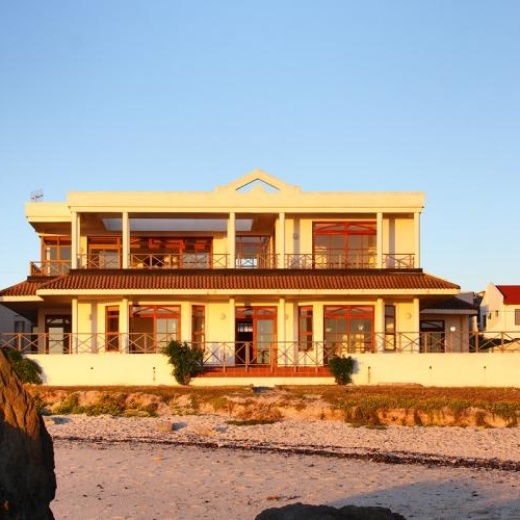 Set right by Ons Huisie Restaurant and walking distance from Blue Peter Hotel and Restaurant where the locals enjoy sundowners right on the beach while watching the sun going to rest over the Atlantic Ocean. On the route towards the West Coast for a day away from the city or a 20 minute drive from the CBD. 3 steps to get to the beach. 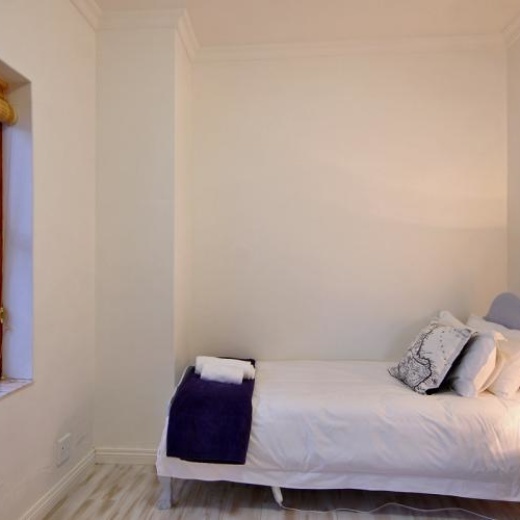 Upstairs is the main bedroom (en suite), 2 single bedrooms and a living/TV room. From the living/TV room and main bedroom you walk onto the balcony. The house has 3 garages and ample parking is available.